Pick your numbers on paper and place your bets at the intimate Live Keno Lounge. 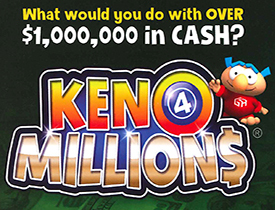 Our keno boasts some of the highest payouts in Las Vegas! A $1 5-spot pays $1,000 and a $1 6-spot gets you $2,600. 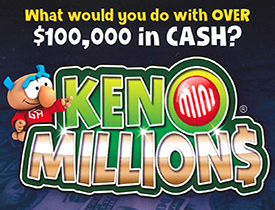 Go for the big money when you play the Progressive Keno Millions where a $2 bet can win you $1,000,000.00!